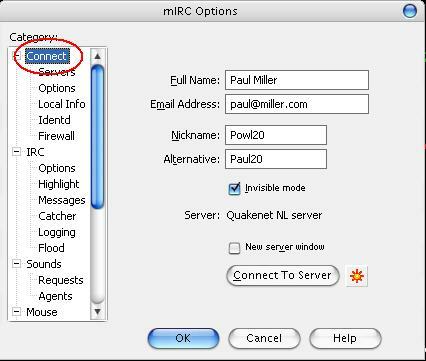 In mIRC, press Alt+O, this will open the mIRC Options window. 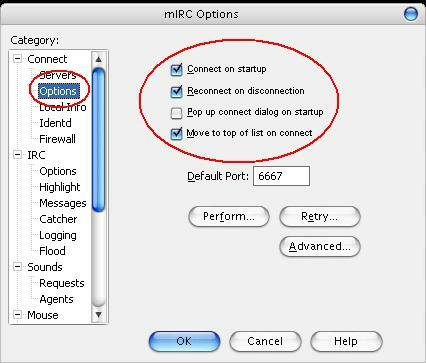 On the left side, click "connect". Enter your name and email address (doesn't have to be your real name and email though). Enter a nickname and an alternative (this is chosen if the nickname already exists). On the left, click servers. 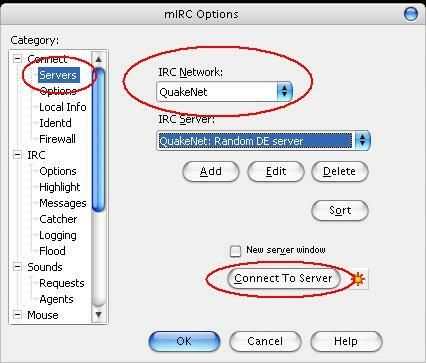 In IRC network, select Quakenet, then click the Connect to server button. On the left, click Options. Mark the fields as can be seen below. Then click OK.
and press enter. There you go!